Commercial Archives ⋆ Shelving Systems by E-Z Shelving Systems, Inc. Laboratory Shelving E-Z Shelving Systems builds fully-adjustable, easily-cleanable, space-efficient metal shelving systems for work areas, clean rooms, refrigerated storage and other laboratory environments. Call us at (800) 353-1331 with dimensions. 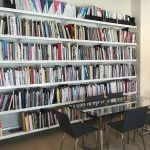 Or us our quote form to request a shelving quote online.